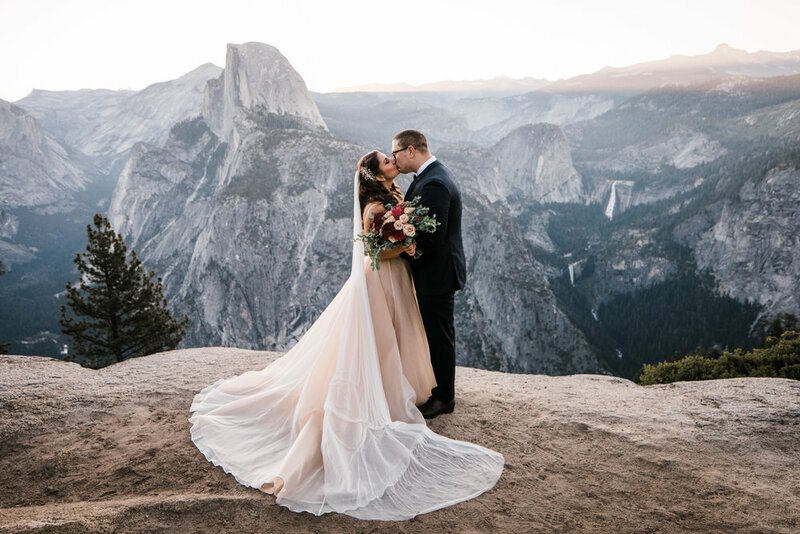 Erin and Justin’s elopement in Yosemite was our last one of the season and the perfect way to end such an amazing Yosemite stint!! 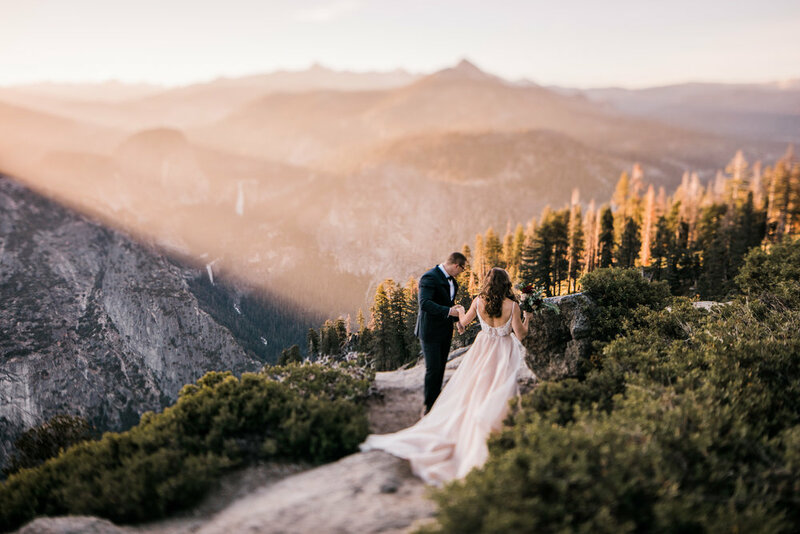 My brother Ben came down from Oregon to officiate their ceremony, which made the day even more sweet. 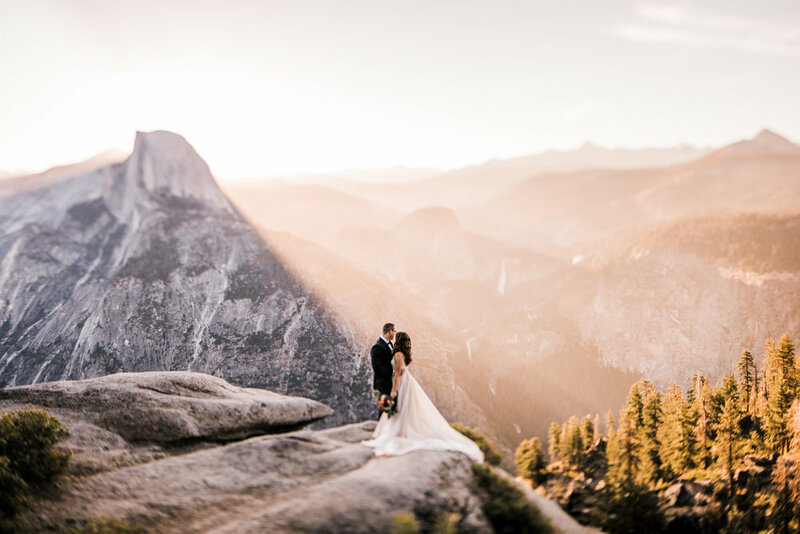 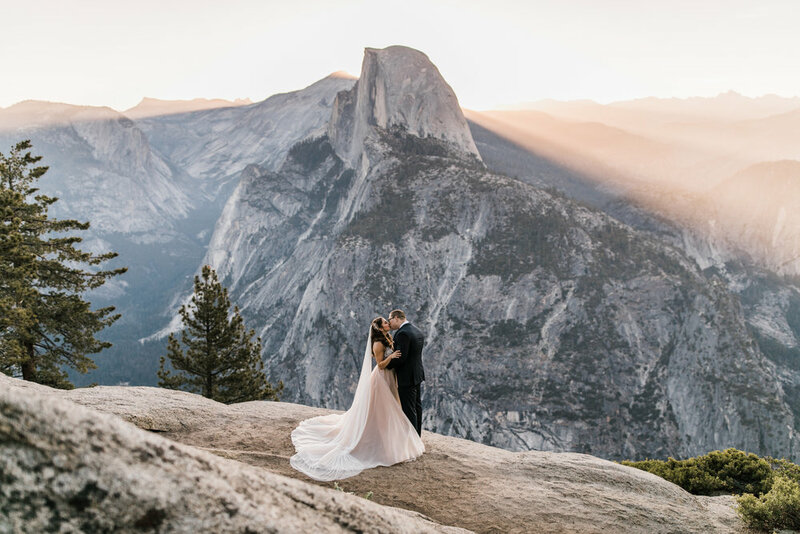 Erin and Justin traveled here from their home in Western Australia to elope in Yosemite among the gorgeous views and epic landscape. 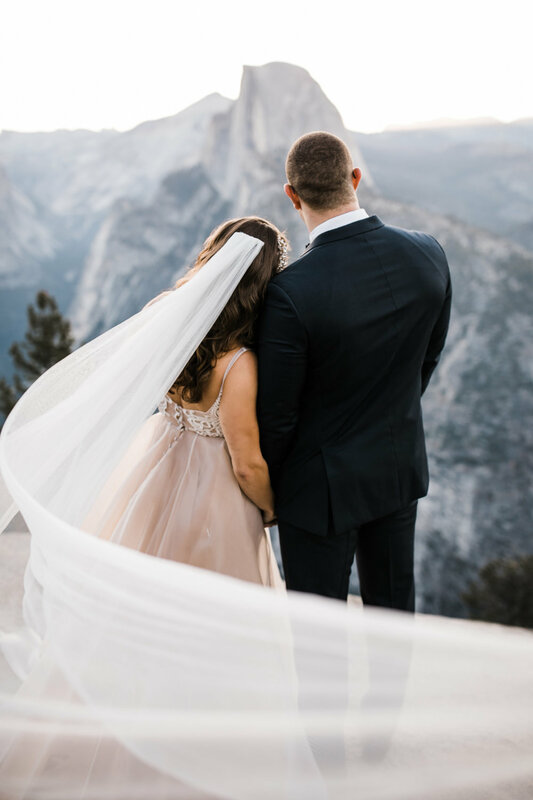 The idea of a big, traditional wedding didn’t feel right to them, and they both agreed they’d rather spend their money on an amazing holiday with a little wedding thrown in. 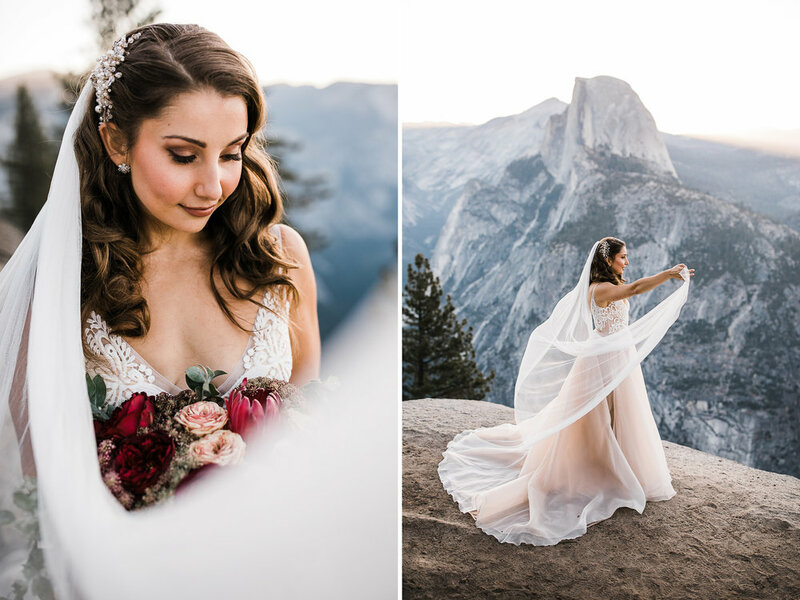 When Erin told me their priorities were to get dressed up in a beautiful place, tell each other they love each other, and then have some incredible photos to show future children and grand children, I knew we’d be the perfect match! 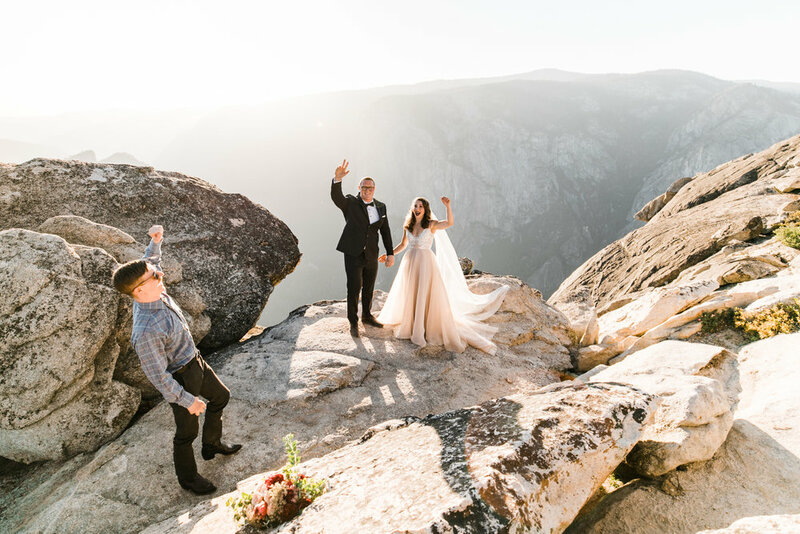 We all hiked out to Taft Point together and picked a quiet little spot for their ceremony 3000 feet above Yosemite Valley. 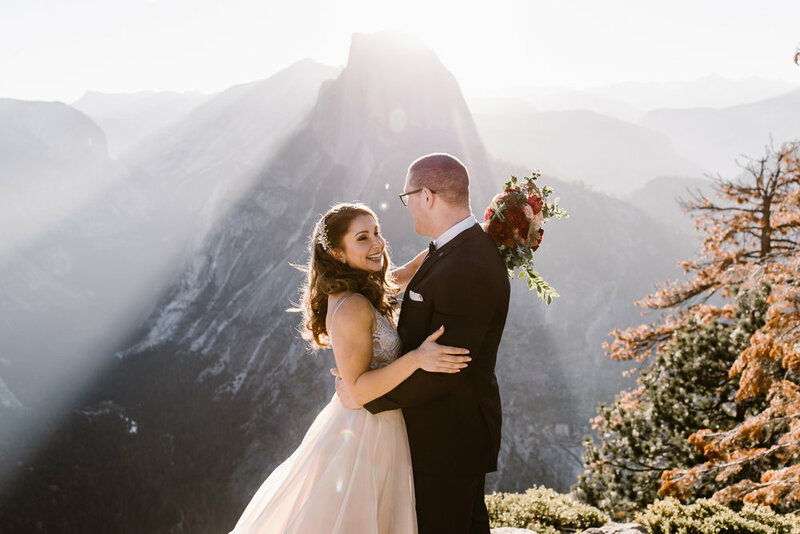 After their elopement ceremony, a celebratory announcement complete with cheers from random hikers (one of my favorite things about National Park elopements! 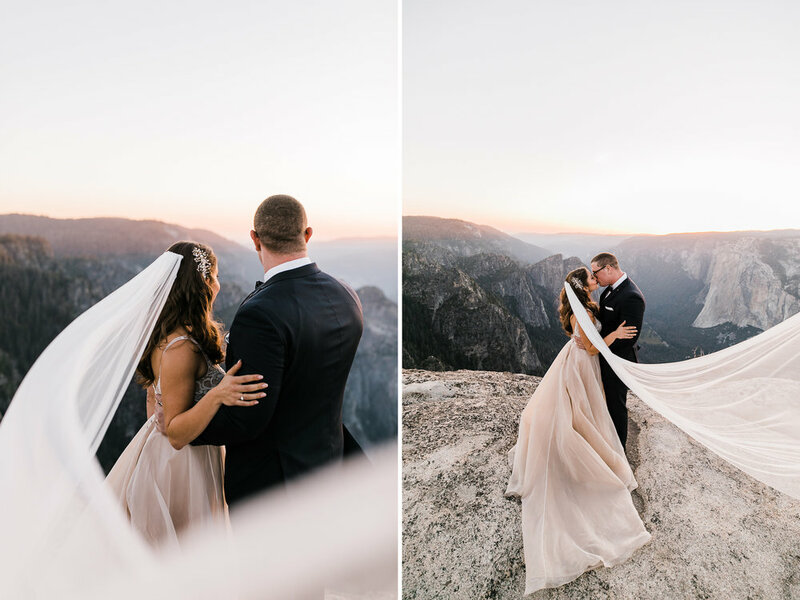 ), and a little bit of chill time for them to take it all in together, we spent the rest of the evening watching the gorgeous sunset and taking some epic portraits around the cliffs. 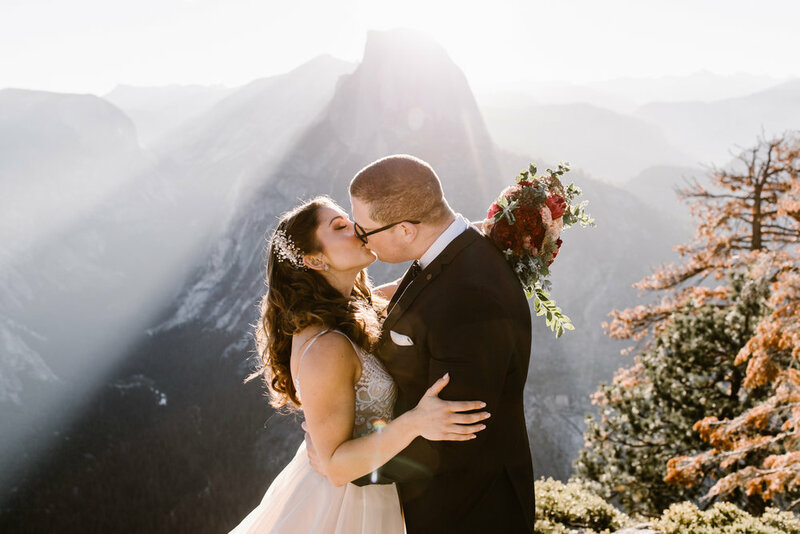 Because it was our last Yosemite elopement of the season, I took extra time to really take it in, and as we were hiking back up I was a little sad but full of thankfulness for this epic job. 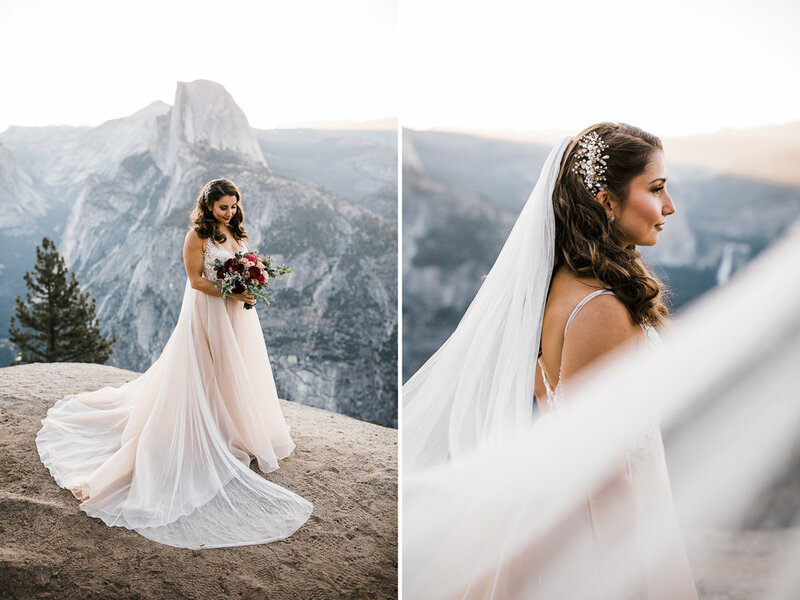 The fact that in June, we got to hike out to Taft point so many times and watch the sunset that many days, all for a job that brings us amazing new friends like Erin + Justin. 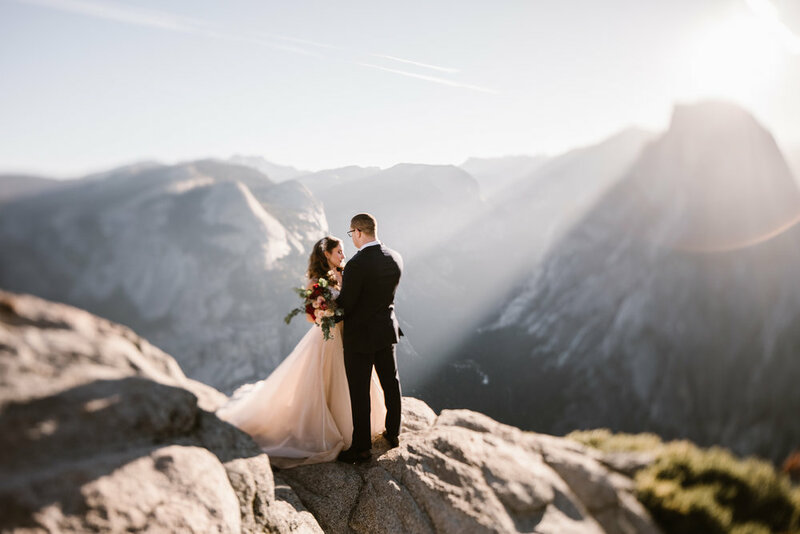 Some days it’s just insane that this is what we get to do!